Fat burners and natural thermogenic supplements are used to stimulate the body’s mechanism for burning fat. Thermogenic fat burners are designed to increase the body’s fat tissue metabolism to create heat (known as thermogenesis). We carry various natural thermogenic fat burners from brands such as WonderSlim®, Wonderlife Vitamins and Robard. You’ll find advanced products with ingredients like 7-keto, green tea, citrus aurantium and CLA. There are some key ingredients that you’ll regularly see in the best thermogenic supplements and most popular products used today. These include CLA, KLB-5, green tea, 7-Keto and Garcinia Cambogia. CLA (Conjugated Linoleic Acid) has been proven in scientific studies to enhance weight loss and help keep it off by inhibiting the storage of fat. CLA also builds muscle and is a free fatty acid that's typically found in dairy and meat, but in small amounts. CLA is especially useful in getting rid of abdominal fat. KLB-5 supports the thyroid gland, helping it function properly. It reduces excess sodium in the body, increases energy and boosts metabolism to assist in weight loss. Green Tea naturally boosts metabolism, which aids in weight loss. Some researchers have speculated that catechins in the green tea are responsible for this fat-burning ability. Antioxidants are released into the body’s blood stream, helping fat burn at a faster rate than usual. Simultaneously, the green tea enables the body to convert calories directly into energy or muscle. Green tea also has the helpful side effect of suppressing the appetite. 7-Keto, a metabolite of the DHEA hormone, has been shown to have a positive effect on metabolism, stimulating weight loss. It also boosts thyroid hormone levels. Garcinia Cambogia (Malabar Tamarind) is believed to suppress the appetite and block the body’s ability to product fat. Its active ingredient, HCA (hydroxycitric acid) is found in the rind of the fruit, and has been shown in studies to burn fat and reduce appetite. It also blocks citrate lyase, an enzyme that the body utilizes to create fat. It also raises serotonin levels in the brain, reducing hunger. 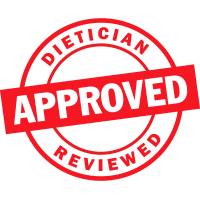 We stand by our diet nutrition products! 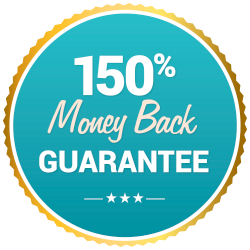 We are so convinced that you’ll be happy with the quality of our products that we are proud to offer our Money Back Guarantee on all purchases. Combined with our same business day shipping, there’s no better place to order your weight loss foods and supplements.